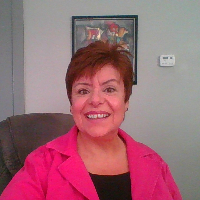 I am a Licensed Professional Counselor licensed in Missouri with over 14 years of experience working as a therapist. I have worked with clients with a wide range of concerns including addiction/substance abuse, depression, stress management, anxiety, relationship issues, career challenges, and life transitions. I also helped many people who have experienced physical trauma or emotional abuse. The central idea in my approach is that people are not “broken”. Everyone makes the best choices they can, based on their experiences and life situation. However, over time those choices and the resulting coping mechanisms may hold you back from growing and reaching your goals. I am here to help clients reach the goals they set for themselves. My job is to help clients identify new choices that match their values. Together we will work to create movement in your life towards your stated values and goals. My theoretical approach is eclectic. I am most strongly influenced by the work of Carl Rogers and his Person-Centered approach to therapy. I use a lot of mindfulness techniques, such as those found in Acceptance and Commitment Therapy (ACT), Motivational Interviewing, and Cognitive Behavioral Therapy (CBT). Since I do not adhere to a single theoretical approach, I use a variety of techniques that I think will benefit individual clients. I do not have a “one size fits all” mentality when it comes to counseling. If you are interested in addressing career issues, I can administer career assessments including the MBTI, Skill Scan, and the Self-Directed Search. Rhonda Piazza is more than an amazing listener, she gives real advice without taking sides. She delivers the clarity I look for after a long week of built of thoughts. Highly recommend to anyone feeling lost, confused, angry, or frustrated about the position their in! My time with Rhonda is like time with a dear, wise, long-time friend. She is supportive and gently pushes me to look at things in a different way when I need to. She has helped me change my life. Rhonda has such a kind demeanor, and will always find you applicable resources to help in any way she can! I am so grateful for the opportunity to have Rhonda as my therapist. She has been so helpful to me in dealing with a difficult work situation and adjusting to relocation. I have made life choices that have left me much happier and she helped me through this. She is warm, thoughtful and insightful. This whole experience has been just what I needed in the moment. Rhonda treats me as an equal and doesn't give me easy answers and sometimes no answers. She is a real world counselor. She calls me out when need be and has real world knowledge that applies to my needs. Honestly maybe the best counselor I've ever had. I can't believe I found her through a website. This is someone that's been through counseling for 25 years. Rhonda has been one of the sweetest and loving counselor I’ve had. She is very understanding and very responsive! She has a great skill set in communication and being real! She has definitely changed my life thank you Rhoanda! Rhonda Piazza is very understanding, caring, and attentive to my issues and problems and also helps find problems and issues within myself that I didn't consider or that I overlooked that helps solve my current problem(s) as well. Her eclectic approach was just what I needed. Her ability to let me steer and her ride shotgun and make great suggestions was really instrumental in helping me get out of what I was stuck in. She could fly at the same height and speed and I felt validated. What a great experience, well worth it. Even when it didn't seem like the session was doing anything, after effects were visible. What a gift of a person. Enthusiastic, caring, and a great resource for those who are job searching or wanting to decipher their next career steps. Rhonda has been very helpful. So far Rhonda is great. I feel like it is good right now. Would you like to write a review for Rhonda Piazza? We'd appreciate if you can spend a couple of minutes to write a short review for Rhonda Piazza (M, Ed., LPC). This review would be shared with Rhonda Piazza. It may also be posted in our website or in Rhonda Piazza's profile but it would be anonymous and your identity would be kept completely confidential.